Tension headaches – this is the most common type of headache, with up to 90% of adults complaining of this headache, and more common among women than men. 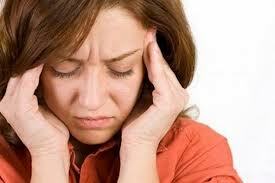 Migraine headaches – second most common type of primary headache. An estimated 28 million men, women and children are migraine headache sufferers in the United States (6% of men and 18% of women will have a migraine headache sometime in their life). Cluster headaches – rare variety of primary headache affecting 0.1% of the population (1 in a 1,000 people). 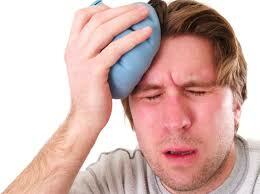 It more commonly affects men in their late 20s though women and children can also suffer these types of headache. Even if you do not have severe headaches everyday there is a considerable amount of self-care things you easily can do for yourself without great disruption to your lifestyle that can ease your headaches. There are three major types of headaches that represent most headache sufferers who have the most constant headaches and the most severe headaches. The good news is that with a little effort most people can control and reduce tension headaches, migraine headaches and structural headaches (cervicogenic headache) related to the alignment of cervical spinal bones and changes in the tone of the muscles and other soft tissue of the neck. Headache remedies range from avoidance of certain foods that trigger a migraine headache, or going to the chiropractic for a spinal manipulation, or simple tactics to reduce stress, or getting more sleep. Because there are about 200 different types of headaches there is not remotely a single cause for the wide variety of head pain that people experience. Regardless of the technical discussion about what might cause a particular type of headache, it is important for each individual to closely evaluate all factors in his or her local environment to determine if there is something that is done or not done, eaten, swallowed, contacted, worn, visited or performed that might cause or worsen your particular headache. From my 42 years of practice experience, regardless of what the experts might say, I have found over and over again that most people can reduce the severity or frequency, or both, of their headache if they put some effort into evaluating right situation. It is essential to be a detective who pays very close attention to the activities and events of a particular day to learn if there is an association or connection to something around you and your headaches. Sometimes a person will find that her headaches are caused by a particular cleaning product, or looking up while doing housework or hanging laundry, or going to a particular isle in a particular grocery store, or eating a particular food made in a special way, or wearing clothes that have recently come back from a particular dry cleaners, or being stressed by a particular relative, or…well the list can go on but you get the idea. This information connecting cause and effect of a headache will not be obvious. It is necessary to pay attention to when a headache starts and what you have been doing a few minutes, hours or even days before that. I suspect that everyone who has a severe headache will have a different set of circumstances that triggers it. In the above discussion of headache classification, the four “primary” headaches simply means the cause of the headache is the problem itself; example, a migraine headache or tension headache. What I have explained still applies because, for example, a person who knows he has tension headaches will not have them every time and circumstance he is tense and stressed. He might find that his tension headache – which are clearly triggered by tension, no doubt about it – also needs the trigger of a heavy carbohydrate meal, or only when around a damp and moldy environment, or only when exposed to tar-based products; this person might find that so long as he stays away from the sugar, mold or tar, he has no problem tension and stress. But if he puts the two of them together, watch out! This kind of detective work can play huge dividends and enable a person to reduce or eliminate a lifelong pattern of constant headaches simply by putting tow and two together. The same is true for migraine headaches and cluster headaches. It is rather common to have a headache and neck pain at the same time because the two are usually related. are also connected to other parts of the body, like the neck muscles. For this reason a problem in the neck will stimulate a nerve that is connected to the scalp and results in a headache. Stress – Physical, mental and emotional stress can lead to tension headaches, which are triggered by tightness of the muscles of the neck especially at the base of the skull. It is theorized that the mechanism is related to reduced blood flow and reduced oxygen being delivered to the neck and scalp muscles, as well as to the brain itself. The body sends out a strong and immediate message alerting to this dangerous situation so it can be corrected. .
Temporomandibular joint (TMJ) misalignment, arthritis or tension – TMJ problems affect jaw alignment, resulting in irritation to the joint surface and the muscles that move the TMJ. It is easy to see how problems with the TMJ can result in both headaches and neck pain. Trauma – Direct and indirect trauma or an injury to the head and neck during sports, work or an automobile accident, is well known to cause headache, neck pain, and shoulder pain. Poor lighting – Using the eyes to read or do close detail work with insufficient lighting will lead to eyestrain, as well as overworked, tight and fatigued neck and scalp muscles that will eventually cause a tension headache and neck pain. Poor posture – Using the body in awkward and odd postures will cause the abused muscles and related soft tissue to become overworked, tight and fatigued, causing pain. When this involves the neck, shoulder and upper back muscles this will eventually cause a tension headache and neck pain. Examples: sleeping on an airplane, pinching the phone between the ear and shoulder for a long while, working overhead as with cars and plumbing, or watching TV on a poorly constructed couch. Stressful chewing – Prolonged and aggressive gum chewing, eating thick and dense food (dried meat) can strain the TMJ and scalp muscles, leading to tension headache and neck pain. Meningitis – Infection of the protective layers of the brain (meninges) will cause meningitis. This is a serious health emergency that is potentially life-threatening. Prominent symptoms of meningitis include dull severe headaches, marked neck stiffness, and fever. Commonly, headaches that are appear with neck pain stem from neck alignment problems, arthritis, disc swelling, that are related in one way or another to poor posture, overuse or stress. Even slight movement of the head and neck is painful because this further aggravates the improper position of one or more of he neck bones (cervical vertebrae). The headache pain can be of a variable location and severity, and does not have a throbbing quality since blood circulation is not part of the problem. These neck and headache problems will quickly change when direct pressure is applied to the involved muscles. These headaches related to the neck often respond well to chiropractic spinal manipulation. There are many causes for headaches and neck pain. Always see your doctor or chiropractor to determine the exact cause of neck and headache pain.